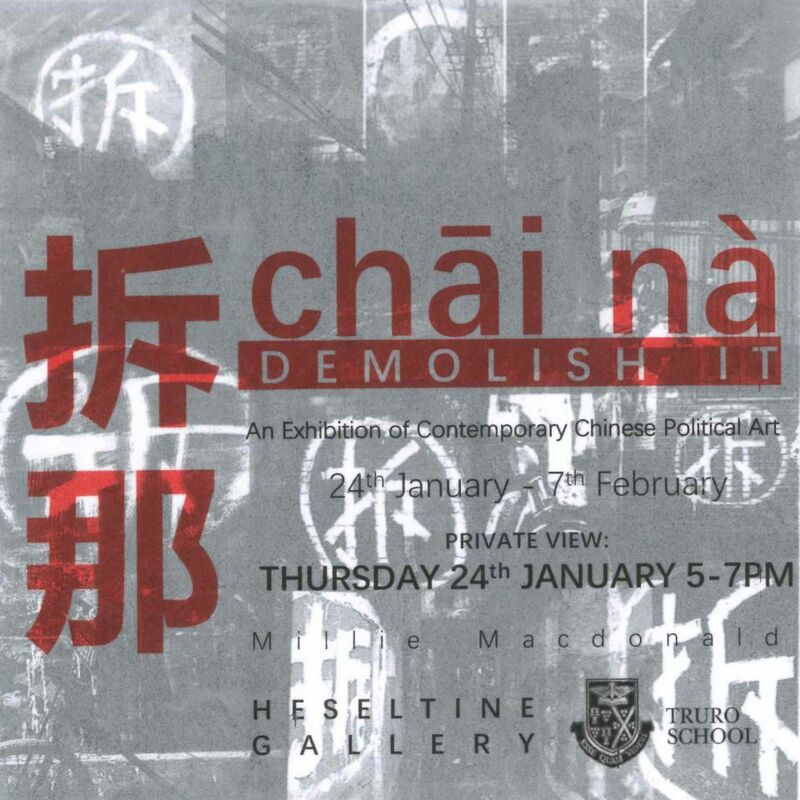 The Heseltine Gallery was built above the Truro School Chapel in 2011 and was named after the previous Head of Art, David Heseltine, who was instrumental in building up the schools own art collection. The gallery, with vaulted ceilings and grand stained glass windows, is an ideal exhibition space. The gallery is also available to hire for functions, wedding receptions, book launches, private views or meetings, seating up to 80 people. It is multi-functional with a presentation screen and projector. With views across Truro, the Heseltine Gallery truly offers a creative and inspirational setting. For more information please contact the Events team. COLOURSCAPES. The Spring exhibition at The Heseltine Gallery, Truro, showcases the glorious colour of one of Cornwall’s leading painters, Ashley Hanson. His sensuous, enigmatic, canvases, painterly responses to place and the novel, blur the borders between fact and fiction, abstraction and figuration. 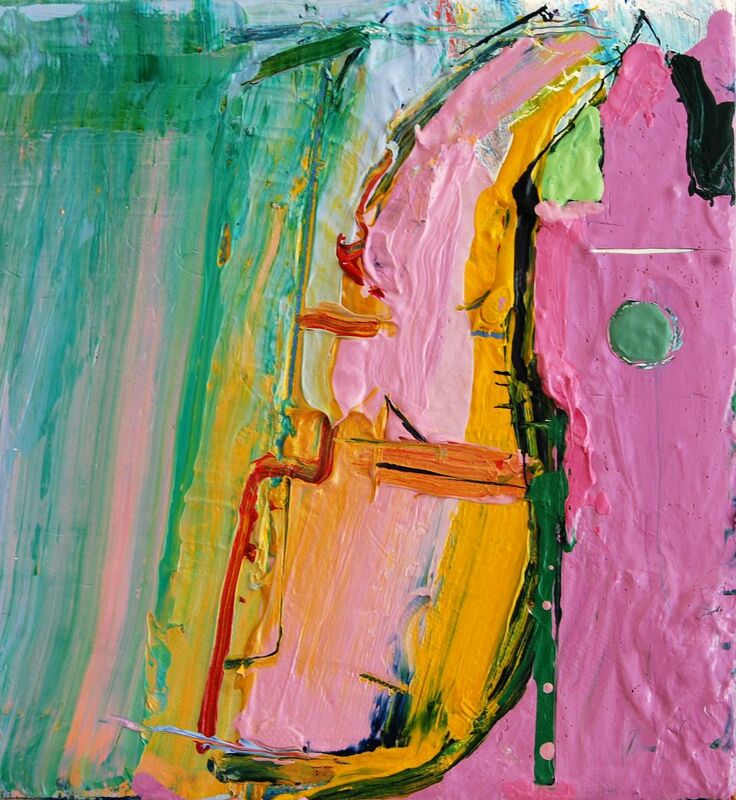 A selection of paintings from his Cornish, ‘City of Glass’ and ’20 Books=20 Paintings’ series, will hang alongside works from many of the artists who inspired him – Peter Lanyon, Patrick Heron, Terry Frost – from the Truro School Collection. A former architecture student who switched to Fine Art after being enraptured by a Peter Lanyon exhibition in 1978, Ashley Hanson is a prizewinning artist with an extensive national exhibition record including the Royal Academy Summer Exhibition, National Open Art, and The Discerning Eye. Recent exhibitions include Wells Art Contemporary and ‘Discovery: Contemporary Art Perspectives from England’ in New York. Nine bands and solo artists from record labels Bella Union, Transgressive, and Lost Map Records, amongst others, passed an imaginary musical baton, each set of artists creating a track that only responded to the track that had gone before. The initial band Landshapes brought the project to conclusion when they also made the tenth and final response. 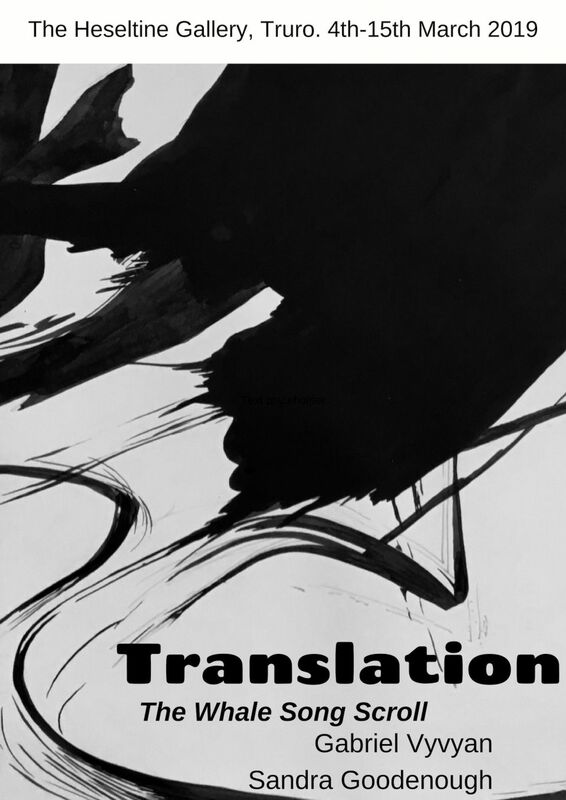 The Whale Song Scroll used the abstraction of dance and physical movement to translate the sounds into gesture, then gesture into a purely visual medium. Over a year in planning and making, the scroll is an artefact 10m in length, and uses traditional materials such as ink, gesso, and gold leaf to capture the essential dynamism of each track. A stunning installation designed and created by Millie Macdonald for her Extended Project Qualification. Exploring China’s Infrastructure and Politics based around her experience of living in Beijing. 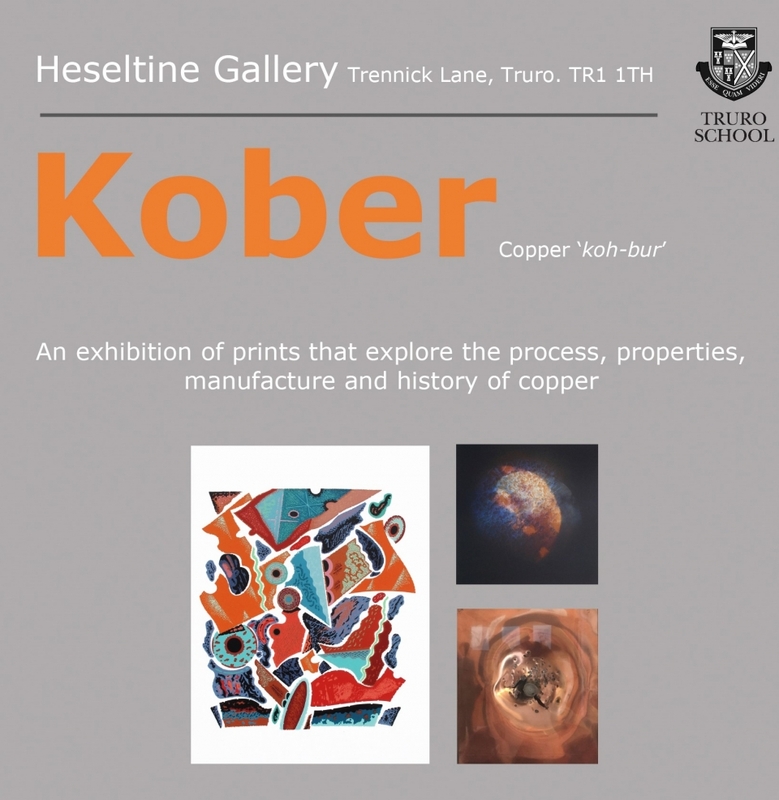 Heseltine Gallery, Truro invited expressions of interest from printmakers to respond to the theme of Kober. 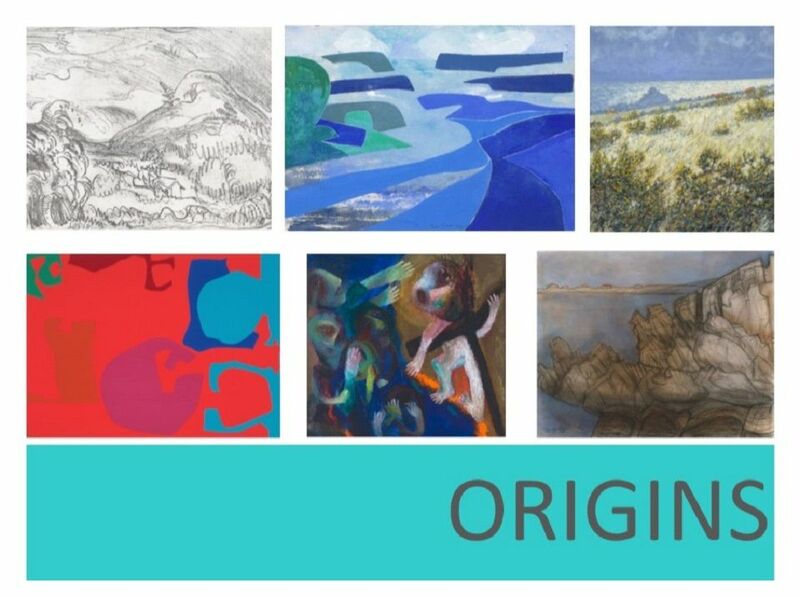 This was the first open art exhibition at Heseltine Gallery, with submissions being selected by professional printmaker John Howard and members of the Heseltine Guild. Artists could interpret the theme in terms of copper’s properties, manufacture, history or simply offer an innovative printmaking response that focuses and compliments artists’ practice. Emerging and established artists were encouraged to apply from across Cornwall and beyond. Pieces selected for this show were hung alongside some of the prints from the Truro School Art Collection; a prestigious selection of drawings, paintings, prints and photographs created by Cornish artists assembled over 40 years, including works by Sir Terry Frost, Bernard Leach, Tom Cross, Robert Jones, Louise McClary and Wilhelmina Barns-Graham. We were excited to announce the relaunch of the Heseltine Gallery in January 2018 with an exhibition of selected pieces from the Truro School’s Art Collection. The large collection of art works was acquired over 35 years by David Heseltine, who was the Head of Art at the School. The collection was started in the early 1980s, when David had the vision and fore-sight to collect art for education within Cornwall. Sixth form students selected the artworks for this exhibition from the historic collection. The collection spans artists who were part of the original St Ives School of painting to those who tutored at Falmouth School of Art such as Tom Cross, Bernard Leach, Sandra Blow, Anthony Frost and Jeremy Le Grice.